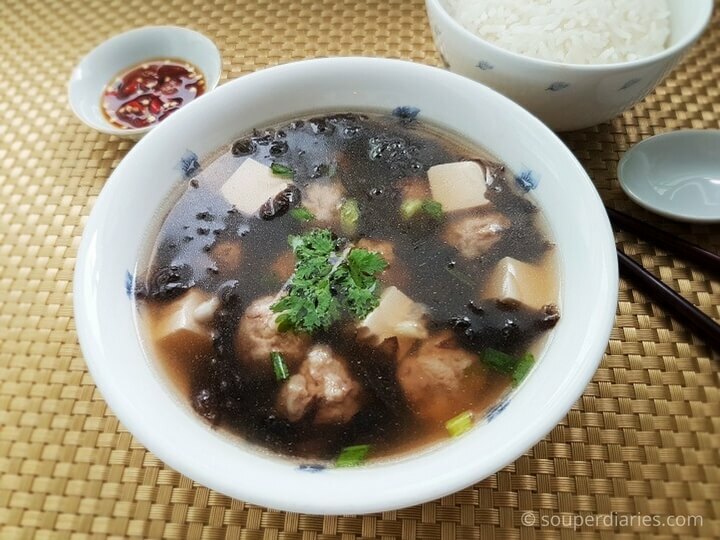 What I love about this Chinese seaweed soup is that it can be prepared quickly and yet tastes so delicious at the same time. When you’re too busy to cook but want a quick and easy homecooked soup, this Chinese seaweed soup is the answer. It takes just around 10 minutes to cook this. Seaweed is not just delicious but they are nutrient dense as well. What are the health benefits of seaweed? 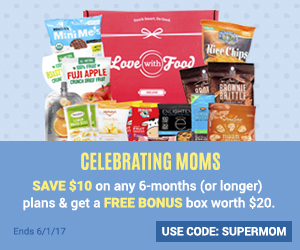 According to this site, they are one of nature’s superfoods and contain an abundant source of minerals and nutrients. The benefits of seaweed include having an extraordinary source of iodine which is important to maintain a healthy thyroid, high in anti-oxidants and calcium, regulates and purifies our blood and helps to promote weight loss. I love eating fish soup with seaweed from the food-stalls outside but usually they come in small servings so when I make seaweed soup at home it gives me satisfaction to add in as much seaweed as I want. Yay for homemade soups! 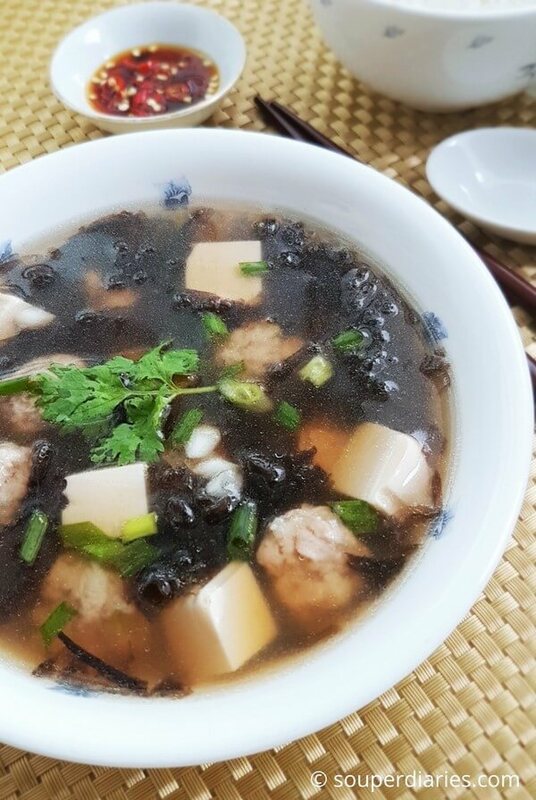 For this seaweed soup recipe I added pork balls but you can use other ingredients like sliced fresh fish, fish balls, yong tau foo, sliced lean meat, prawns, etc. Chinese seaweed is also delicious when made into an egg drop soup. Chinese seaweed is different from Japanese or Korean seaweed. You need to cook it first before consuming them. I bought the dried seaweed pack shown above from the dried food section in a supermarket. You can also find them in Chinese medical shops. They are sold in large round sheets in packets and are inexpensive. No soaking is required as they will start to soften on contact with water. For a quick cooking soup like this, using soup stock is a must. Otherwise, the soup will be bland. You can either use homecooked chicken stock or store bought stock cubes or broth. For the latter, try to look for those which are labeled with ‘No Added MSG’ or organic. If you’re using homecooked chicken stock, season the soup to taste with salt and do not use the stock cube. I can’t get enough of seaweed and love eating them in sushi, salads, soups or the grilled type of salty, savoury seaweed that you can eat right out of a packet. How do you like to eat seaweed? Do you have a favourite way? Let me know in your comments! Serve this tasty soup with some birds eye chili and rice. Total yum! For more quick cooking soup recipes, click here. 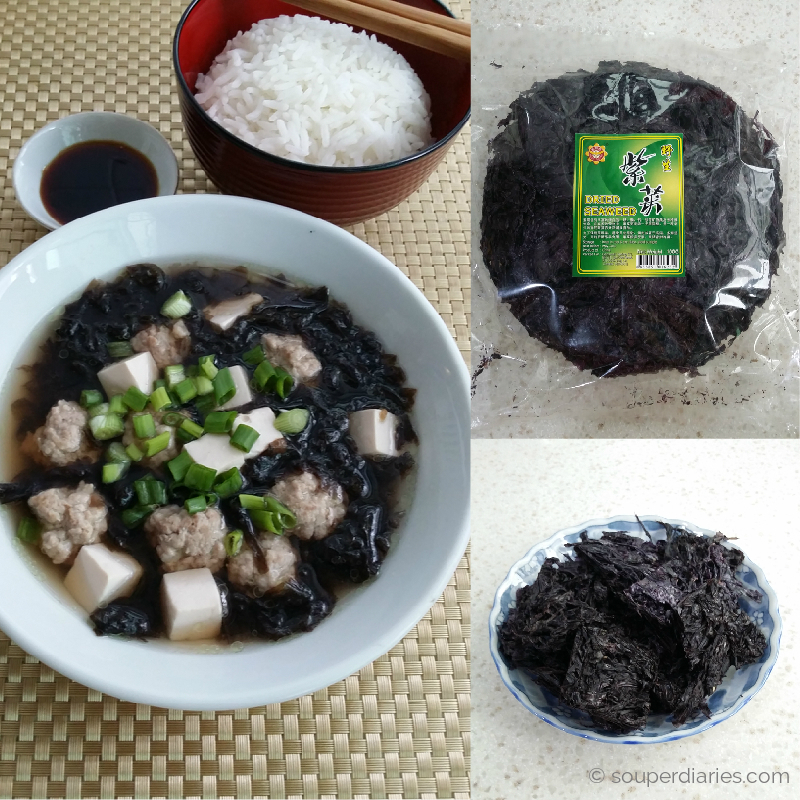 Quick, easy and tasty Chinese seaweed soup recipe for busy days. This bowl of yum can be ready in less than 30 minutes. Mix minced pork well with the marinade ingredients. Shape into balls and set aside. Bring the water to a boil in a soup pot. Once boiling, add in the stock cube and press with the back of your ladle to help it dissolve. Tip in the pork balls gently to prevent the hot water from splashing. Cover lid and let boil for about 3-5 minutes till pork balls are cooked through before adding in the tofu. Add seaweed just before turning off the flame. Garnish with chopped spring onions and/or coriander and serve hot. 1. It is important to use soup stock (homemade or store bought is fine) and not plain water for this recipe or it would not be as tasty. If you do not have any soup stock you can use a stock cube like I did for this recipe. * Shallot oil is prepared by frying shallots in hot oil. The fried shallots make the oil fragrant and you can use it for sauces and marinades. Sumptuous Menus! You make me fall in love with Chinese Recipes! This looks so comforting and filling. I love how easy it is, too. Shiitake mushrooms would probably be good in this too, do you think? I love those salty seaweed snacks in the little packet. I’ve been eating them so often lately! Thanks Samantha. Yes, fresh shiitake mushrooms will go well with this soup too. Yum! !